If it’s your first time in New York, you’re in for a wonderful shock. The sheer scale of the place can take your breath away, while its manic energy and sense of purpose are inspiring. Even if you’ve been before, this seemingly restless place will have lots of new things to offer you – the city never stands still for long. The cultural and culinary options seem endless, but we’ve picked out a few gems to suit whatever mood you find yourself in when you visit New York. 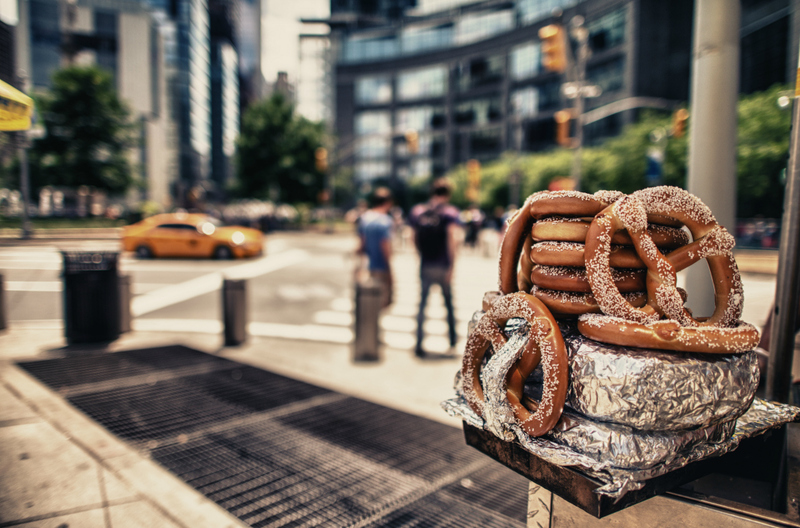 There can’t be too many cuisines neglected by the foodie haven that is New York. Whether you’re in the mood for a quick burger, a pizza ‘pie’ or a three Michelin star blowout, it’s all here. The unique cultural make-up of the city means you can start your day with brilliant bagel and lox, wolf down Chinese pork buns at lunch and then feast on pasta primavera in Little Italy. Try these three New York restaurants on for size. Leave Manhattan and head to Greenpoint in the far north of Brooklyn for fine food served in a former glassworks. The Glasserie is one of the most surprising restaurants in New York, way out of the mainstream but doing delicious things with Middle Eastern tastes. Wonderful flatbread is the perfect foil for harissa rabbit, cauliflower and ‘crazy lamb babka’. This is Levantine at its lushest. On West Houston Street in the NoLIta district, you can follow in the footsteps of Barack Obama and dine at Estela. Open since 2013 it feels like a restrained, sedate venue until you order, and then the eccentric presentation and full flavours take over. Expect cured fluke with sea urchin, burrata with salsa verde and pork with perigord truffle. Sorry, we don’t know what Barack and Michelle ordered. Down at 205 East Houston Street, Katz’s Deli is a landmark among New York restaurants. It opened in 1888 and both tourists and locals flock there daily for piled-high pastrami sandwiches. Beloved of celebrities and famous for its appearance in ‘that’ scene in When Harry Met Sally, this is a NY institution. Portions are huge – don’t forget to bring your appetite. Many visitors travel to the Big Apple purely for the culture, and it’s home to many big ticket shows, exhibitions and galleries. Few cities celebrate themselves as relentlessly or with as much brio as this one, and the museums of New York shine a light not only on the history of the city, but also on the founding of America. 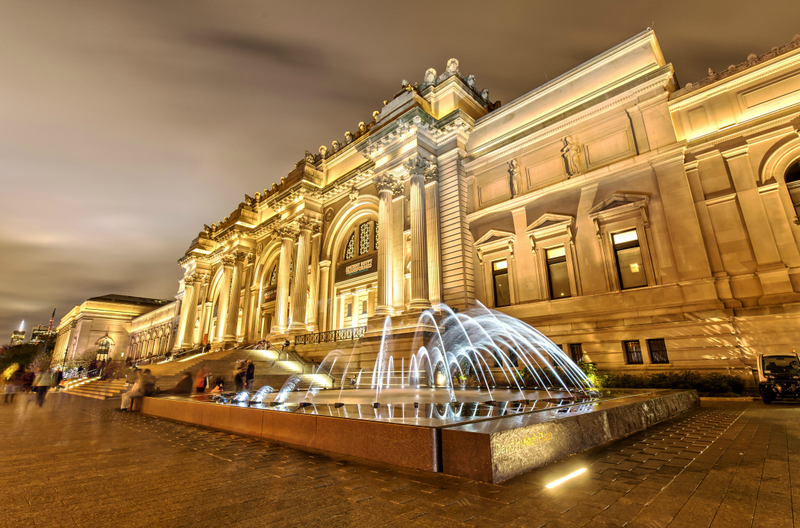 Known locally as ‘The Met’, the Metropolitan Museum of Art is vast, boasting over two million pieces in the States’ largest museum of art. It spans ancient Egypt through to modern masterpieces, with the Renaissance masters well represented. Caravaggio, Velazquez, Rembrandt, Monet, Cezanne and Van Gogh’s famous Self-Portrait with Straw Hat are all here, but it also has a peerless collection of instruments, photographs and costume art. The exterior of The Guggenheim, designed by Frank Lloyd Wright when the museum relocated to this permanent address on Fifth Avenue in 1959, is a work of art in itself. Like its sister museum in Bilbao, Spain (with which it shares its collections), The Guggenheim’s focus is very much on modern art, with important work from Picasso, Manet, Kandinsky and Degas. Frequent screenings and exhibitions make it a constantly shifting space. The MCNY is, in its own way, the epitome of a New York museum. From a fine building in the Upper East Side It looks in-depth at the city’s history, buildings, people and culture. With photographs by Stanley Kubrick, a Broadway theatre collection, and even heirlooms from early settlers, the MCNY gives a unique perspective on this ever-changing city. Just because it’s the ‘City that never sleeps’, it doesn’t mean that you shouldn’t. With square yardage at a premium, bargains are hard to find in Manhattan, but that doesn’t mean there aren’t amazing places to lay your head down at night. Formerly the Tribeca Grand, this exceedingly stylish hotel sits on a prime location on the border with SoHo. With its own cinema, jazz club, thermal baths, hair salon, pet friendly rooms and retro styling, The Roxy is as trendy as it gets. Doubles start from around $400 per night. In the Garment District near Bryant Park, this former hat factory is another New York hotel that oozes cool. Marble bathrooms, Empire State Building views, the secret recipe pancakes in the luxurious booths of the Parker & Quinn restaurant – you won’t want to leave. Prices fluctuate, but we’ve seen rooms at around $280, not bad for this kind of luxury. A recently refurbished landmark of Art Deco splendour, The New Yorker should be high up on your list when thinking about where to stay in New York. On 8th Avenue and 34th Street, it offers a 24-hour diner as well as an Italian trattoria, while rooms are snug but comfortable. With rates starting at just $100 a night in low season, it’s very affordable given its desirable location. Whether you’re sleepy or hungry, in the mood for culture or sport, art or shopping, New York has something for all of your needs. And if you want to see the best of what it has to offer, and get out into wider New York State, car hire in New York City is a great way to make the most of Gotham.